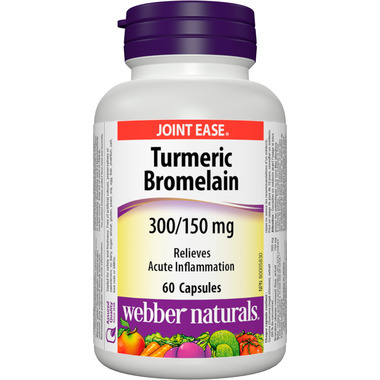 Webber Naturals Turmeric Bromelain is a combination of anti-inflammatory agents is very useful in reducing inflammation associated with various inflammatory conditions. 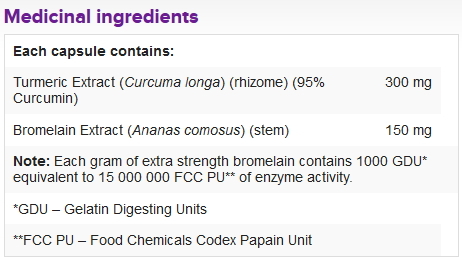 Turmeric Bromelain from Webber Naturals can be taken to relieve acute inflammation within the digestive tract or other areas of the body, as well as ongoing support for inflammatory joint and digestive conditions. This honestly works to relieve the osteoarthritis pain in my hand. I take one in the morning and one at night and find I can spend most of the day without even remembering I have osteoarthritis. I never want to be without it! Love this product. Help me a lot with my pain. I recommand it.